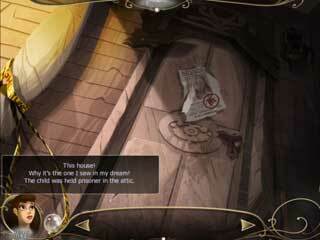 This newly released adventure game will satisfy the urge of any fan of this genre. The game is totally polished in its every aspect. Age of Enigma: The Secret of the Sixth Ghost is like a great compelling journey from the reality to a different place full of its problems and the ways of solving them. Each of the locations puts its own limits on the gameplay while you are there. The game introduces you to a young woman named Ashley. She possesses some supernatural ability to interact with the supernatural. She's been haunted by a dream with a certain house in it. Then one day she receives a letter with the key and a plan of that very house. Of course, she goes over there. It turns out that she is needed to help some of the ghosts living there. In order to help them find piece, she has to go to the time and place and accomplish whatever it is that is holding them in this house. 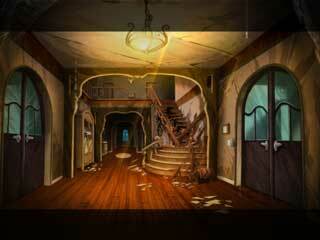 It is actually a very enjoyable feature, and it adds a lot to the typical haunted house theme. You get to travel to absolutelly different places through the time. Each of the locations puts its own limits on the gameplay while you are there. For example, when on an island you to finish the tasks before the you run out of the air for diving; in the Middle Ages you are to mix a potion. It is awesome to have a diversity of activities in one game. The adventure part of the game is not intentionally easy. You really have to walk around and explore and find the ways to use your inventory. The story of the game is big enough to jump into it and forget about the rest of the world. There are lons of dialogues and letters to read. The game looks and sounds perfect too. There are some animated details and additional sounds to make it even more fun. This is Age of Enigma: The Secret of the Sixth Ghost review. Download this game here.